In the category of "green buildings," it's been said that the greenest building is one that's already standing. This is particularly true if that building is not currently being used. By adapting and reusing a building, you give it new life. (Hence it's common name: "adaptive reuse!" 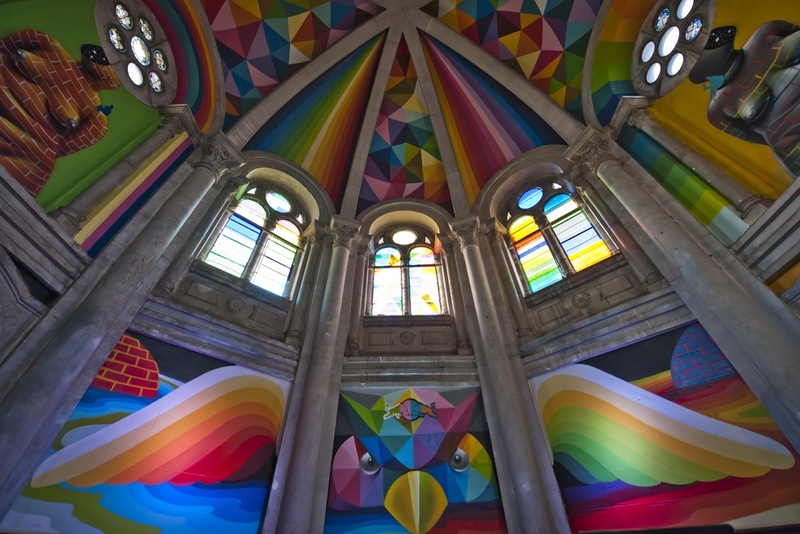 Here's where art, repurposing, & a church collide. "In general, for the last few years my work talks a bit about the war between nature's forces and the human being; between modernity and roots. Self-destruction, existentialism, things like that....I like using contradictions which invite people to reflection." 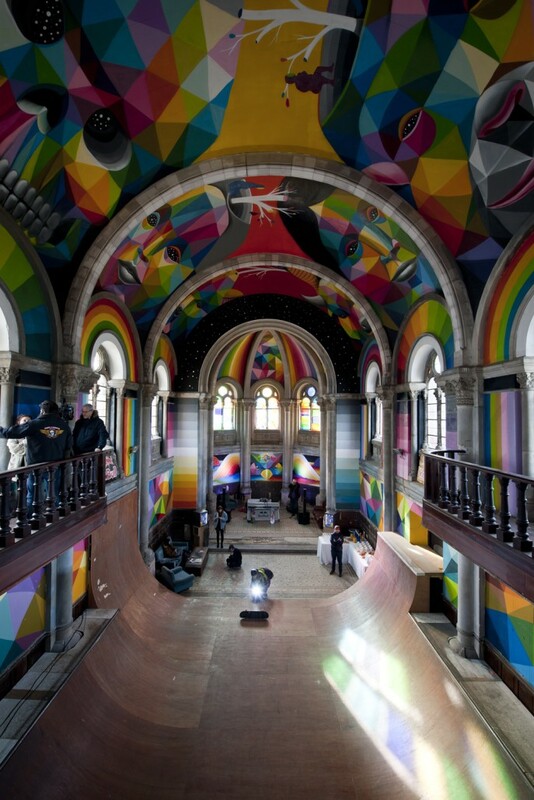 I can only imagine what the experience of skateboarding would be like in this setting! 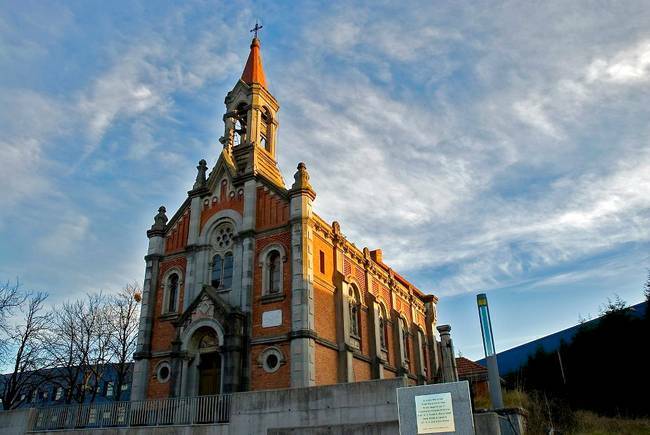 "World's 'Most Beautiful Gas Station' Converted into Cultural Center"
"Abandoned Walmart Turned Into Giant Public Library"
"Repurposed Architecture: Finding New Meanings in Abandoned Factories, Monasteries and Homes"